has sparked tourism boycotts and controversy. Yet that’s not the whole story, as this is a country with a long tradition and stunning historical and natural scenery. Yangon (Rangoon) the ex-political capital, remains the economic center of the country, and is crowned by the golden Schwedagon Pagoda, which gleams in the sun and dates back to the 6th Century AD. On Inle Lake, entire villages are raised on stilts while local monks have taught their cats to jump. Dense teak and bamboo forests are roamed by diverse wildlife including elephants and crocodiles. Tradition reigns in Myanmar, where only .1% of the population uses the internet. Life is characterized instead by images of red betel juice dripping down elderly chins, potholed roads, and monks bathing Buddha statues at dawn, creating a real world out of time. As Paul Theroux said, "Nothing happens in Burma, but then nothing is expected to happen." when tourism surges, there has been an increasing number of visitors in recent years. The off season is a tough alternative, with a period of scorching heat from March through May, and a monsoon season that drenches different parts of the country from May through October. Known as the The Golden Land, where it is said that you can point your finger at any 360 degree direction, there's a golden temple or pagoda! What a spiritual and beautiful place. Friendly and most locals are Buddhist. Many temples and interesting places to see. Another sunset I will never forget. 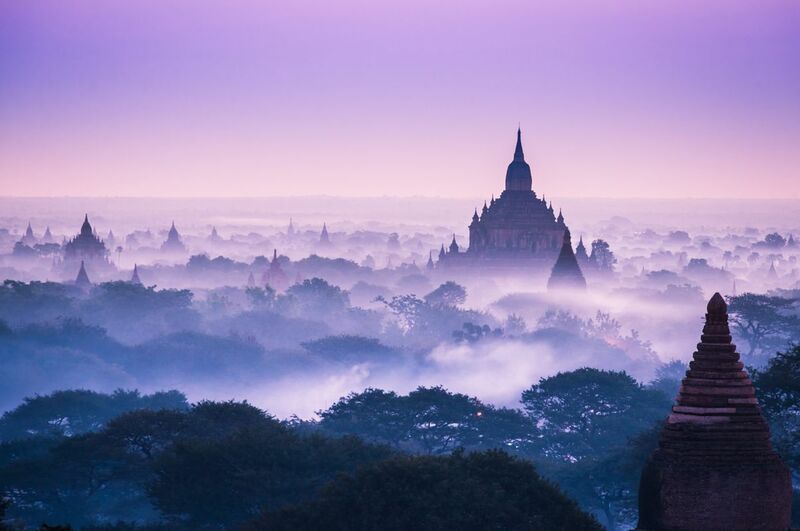 Myanmar is one of the most beautiful and barely touched places on earth. Everywhere you turn, it is as if you were flipping through the pages of a national geographic magazine. Make a visit here before tourism becomes rampant in this country. It's a corner of the earth that is bucket list worthy. Myanmar (Burma is used more or less interchangeably, though locals seem to favor the former name these days) is a Southeast Asian country distinguished mostly by what it DOESN'T have: loads of tourists. In contrast to Thailand, Angkor or Vietnam, this nation at the crossroads of south and southeast Asia can seem positively empty of visitors, and that's part of its charm. People here -- be they Burmese, Mon, Indian or Shan -- are mostly friendly and smiling, without the scams or greediness you find elsewhere in the region; and the country has a kind of sleepy charm that's immediately appealing. Myanmar might lack blockbuster sights (virtually nothing in the country is a "must", though many things are certainly nice), but getting a little off the tourist treadmill and seeing a corner of the world that often seems forgotten is a reward more than worth the journey. Voyage: Seabourn Odyssey, to and from Singapore. November 9; 14 nights from $6,999. Myanmar is a country changing fast. It's recently opened up to mainstream tourism and at the current moment can barely keep up with the demand. There are some beautiful places to visit, but the biggest joy of visiting is probably the people of Myanmar, some of the friendliest I've met. As Myanmar tourism expands, many miss the exotic authentic Bay of Bengal. Ngapali Bay hotel & spa features designer glass-front villas along sweeping beachfront. Enjoy fresh lobster and cocktails by a tiny rustic beach bar, while beautiful village ladies wander past balancing baskets of fruit on their heads. The hotel’s USP is it’s familiar feel and beachfront proximity to the working fishermen’s village; a fascinating flurry of activity at dawn. Enroute to Bagan, the train stop by a remote village where we saw a soulful train market. Trading their produce, living their life. My suggestion to travelers, take the train from Yangoon to Bagan. The scenery, lanscape and experience is one of a kind. Challenging but worth it. If you are thinking even a little bit about visiting Burma: do not walk, RUN to the airport and get on the next available plane. Ever since the release of Aung San Suu Kyi in late 2010 the country has been steadily opening to the rest of the world and, as a result, tourism is booming. 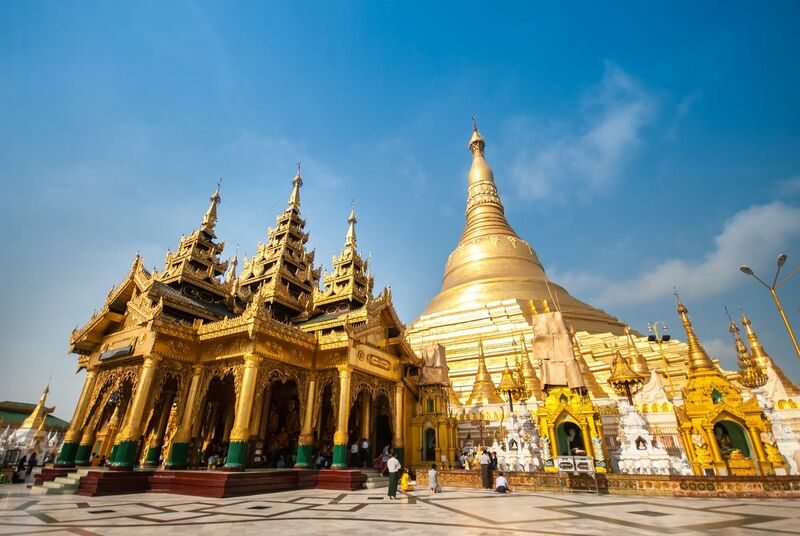 There are still considerably less foreign travellers here than any other Southeast Asian country but visitors are on the rise, and with good reason: Myanmar is a country unlike any other in the region, where you are just as likely to run into a massive, gold-covered stupa rising out of the ground as you are to meet the driver of a horse-drawn cart lumbering down a major city street. People are overwhelmingly open and friendly, and the scenery is gorgeous; I could have sat on a temple in Bagan all day. Loved every minute, start to finish.